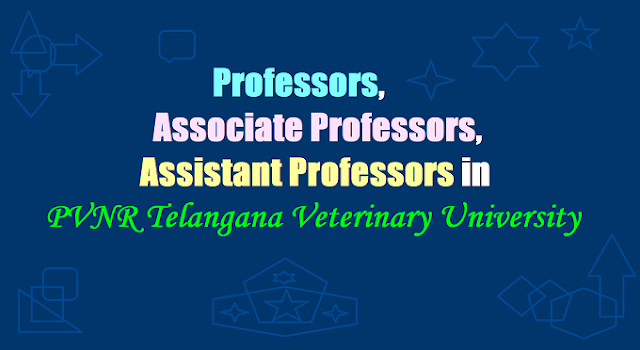 147 Professors, Associate Professors, Assistant Professors in PVNR Telangana Veterinary University/Teaching posts in P.V. Narsimha Rao, Telangana Veterinary University/ PVNR Telangana Veterinary University Professors Recruitment 2017: GOVERNMENT OF TELANGANA, Public Services - AHDD & F Department - Filling up of (147) one hundred and forty seven vacant teaching posts by direct recruitment in P.V. Narsimha Rao, Telangana Veterinary University, Rajendranagar, Hyderabad- Orders - Issued.